I’ve been talking about BlueJay for a while now, mainly back at PalmSounds, but BlueJay’s most recent version (or rather most significant release) has added a feature that I think warrants more attention. If you don’t know what BlueJay does, let me explain. Simply put, BlueJay effectively turns your phone (iOS or Android) into a personal radio station. Not for listening, but for broadcast. Now there are a few apps that do this kind of thing. I can think of a handful on iOS for a start. But for the most part they’re more aimed at podcasting rather than broadcasting music. With BlueJay you create or reuse a playlist on your phone. BlueJay refers to these as sessions and they need to have a minimum number of tracks. You select the tracks you want to play, or the whole playlist, and then you play it, or rather, you host the session. In BlueJay speak. Sessions are run in real time, just like radio. 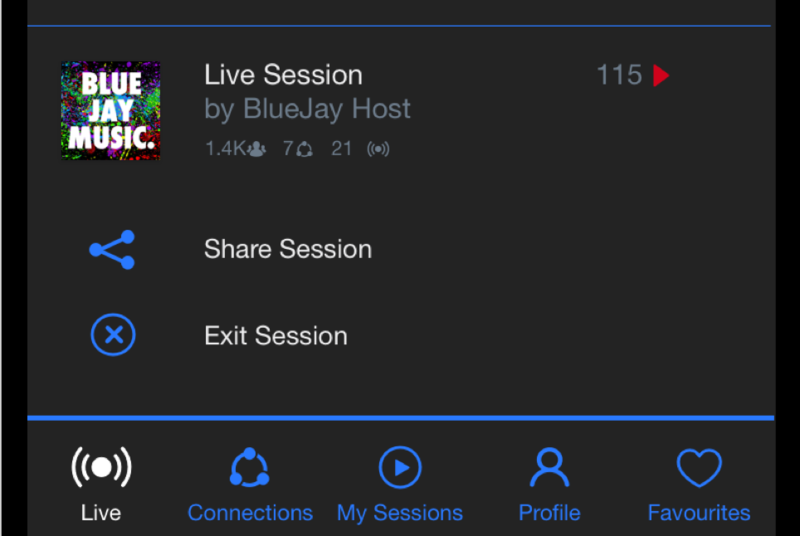 Any BlueJay user can join and listen to your session, and during a session they can like your tracks or leave you comments, but it all happens in real time. So BlueJay stands out for me. Now they’ve added an integration with SoundCloud so you can pick up your playlists direct from SoundCloud and host sessions from anything you have in playlists there. Of course, where BlueJay is most useful is for artists, or at least that’s my view. It gives an artist a way to reach and expand audiences using a medium that is easy for just about anyone to relate to. I think that BlueJay could be a really useful tool for all kinds of artists looking to promote their own work in different ways, and as it just gets harder to get your music out and find an audience it’s worth looking at all sorts of new avenues. BlueJay is free to use, so give it a try and see how you get on with it.